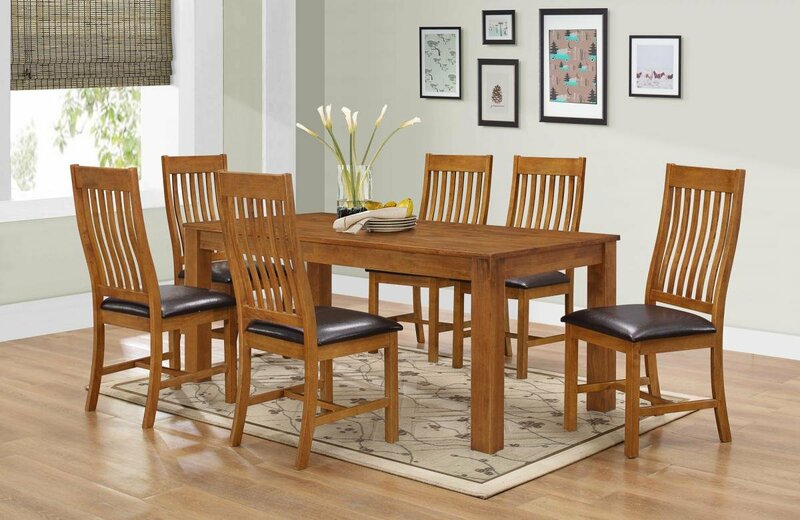 A classic and beautiful Dining Table set, complete with six chairs, this is perfect for a stylish house wanting a touch of a classic, rustic nature. The solid wood gives a robust quality, so you can feel safe knowing this table will last even the wildest dinner parties. Coming complete with six beautiful Walnut chairs, this set is visually stunning and very elegant.